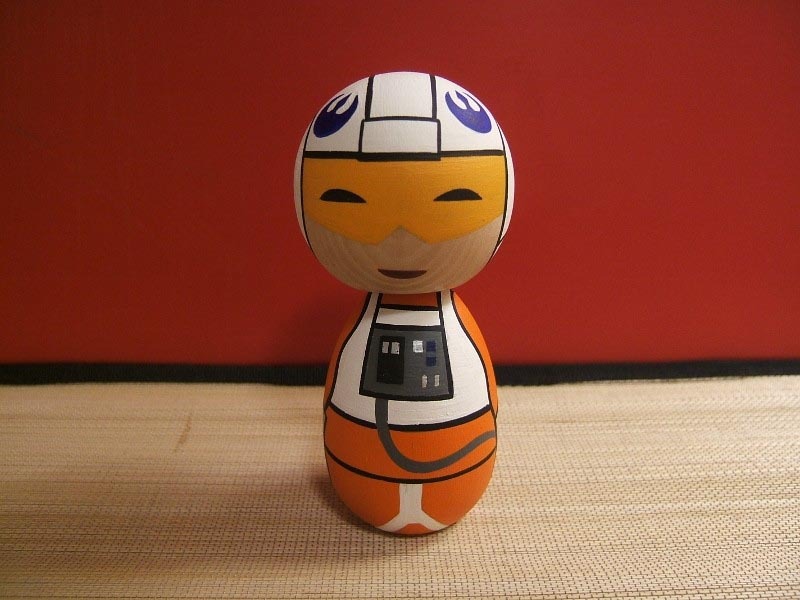 As a big fan of Star Wars, you must have many Star Wars themed action figures, but if you want some unique Star Wars figures with Japanese style, the Star Wars Kokeshi dolls may be suitable for you. 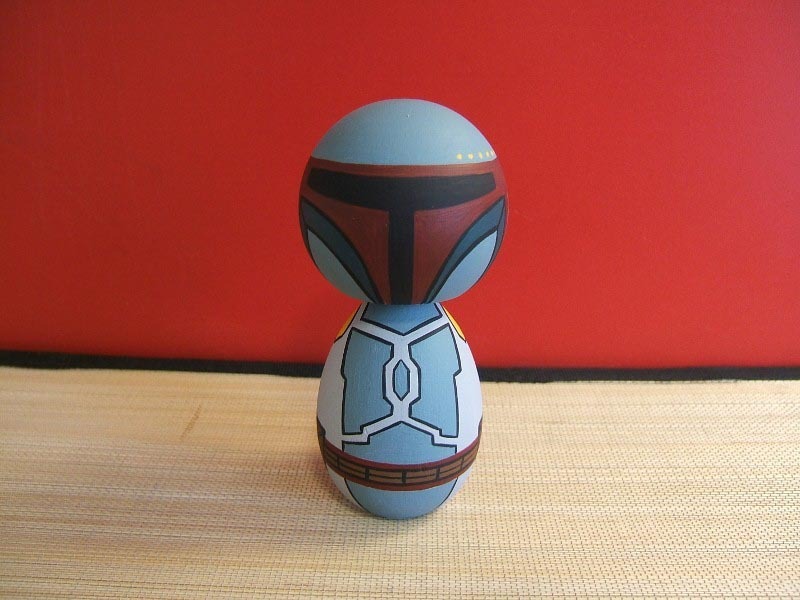 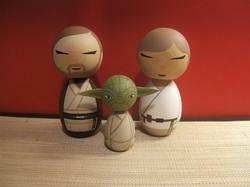 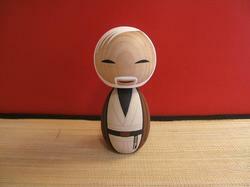 These Star Wars Kokeshi dolls are created by Craig Galentine, an artist behind The Kokeshi Clan. 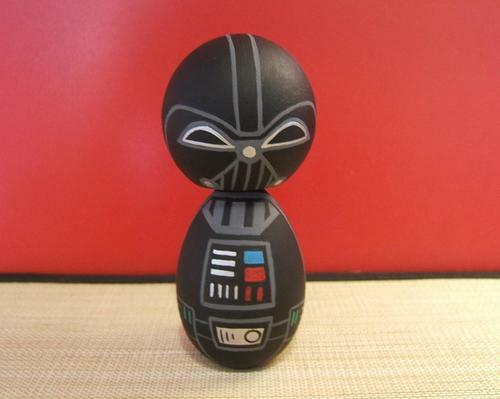 Each Star Wars themed Kokeshi doll is made from two pieces of wood, and put together with dowel so that the head of Darth Vader can turn to stare at his deadly enemy Master Yoda. 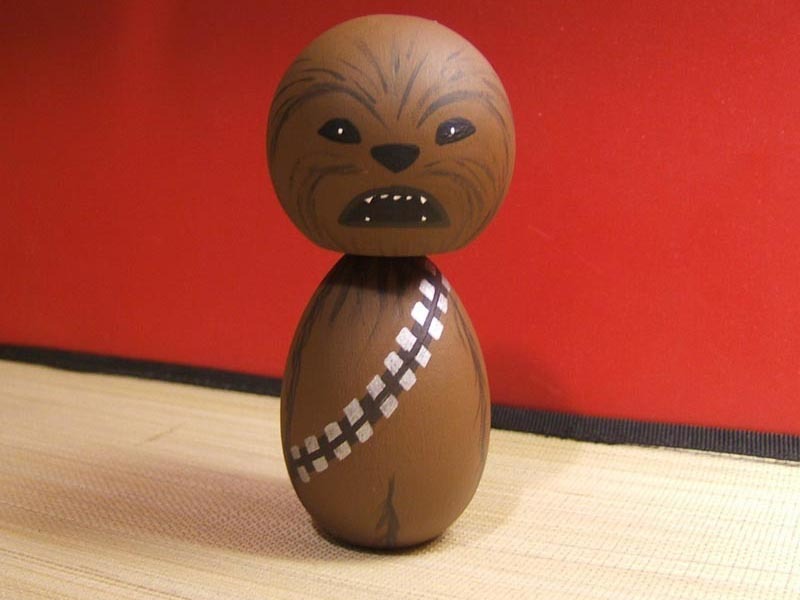 Each Kokeshi doll measures 4 or 4.5 inches, as we can see from the images, the Kokeshi doll series cover over many important characters in Star Wars including Darth Vader, Master Yoda, Han Solo, Boba Fett, Princess Leia, Chewbacca and more. Each Star Wars Kokeshi doll is priced at $30 USD. 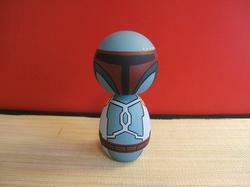 If you’re interested, jump to Etsy for more details. 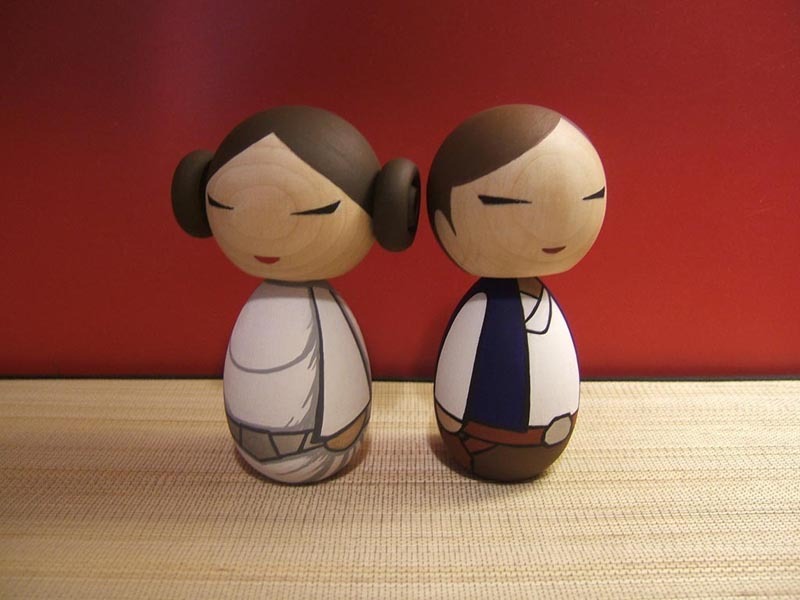 Additionally, if you need more Star Wars themed gadgets, you might like to check Star Wars coasters, Star Wars towels, and more via “Star Wars” tag.